The firm repurchased 41.2 million shares of its common stock during 2007 at an average cost per share of $217.29, for a total cost of $8.96 billion, including 11.6 million shares during the fourth quarter at an average cost per share of $230.65, for a total cost of $2.68 billion. On December 17, 2007, the Board of Directors of The Goldman Sachs Group, Inc. (the Board) authorized the repurchase of an additional 60.0 million shares of common stock pursuant to the firm’s existing share repurchase program. The remaining share authorization under the firm’s existing share repurchase program, including the newly authorized amount, is 71.4 million shares. The Goldman Sachs Group, Inc., through its subsidiaries, provides investment banking, securities, and investment management services worldwide. The company operates in three segments: Investment Banking, Trading and Principal Investments, and Asset Management and Securities Services. The Investment Banking segment provides financial advisory services, including advisory assignments with respect to mergers and acquisitions, divestitures, corporate defense activities, restructurings, and spin-offs; and underwriting services, including public offerings and private placements of equity, equity-related, and debt instruments. The Trading and Principal Investments segment markets and trades interest rate and credit products, trade equities and equity-related products, mortgage-backed securities and loans, currencies and commodities, and derivatives, as well as offers securities, futures, and options clearing services. This segment also involves in the merchant banking investments. The Asset Management and Securities Services segment offers a range of investment advice services, as well as provides brokerage, financing services, and securities lending services to mutual funds, pension funds, hedge funds, foundations, and high-net-worth individuals. The company serves institutions, such as pension funds, governmental organizations, corporations, insurance companies, and foundations and endowments, as well as high-net worth and retail investors. 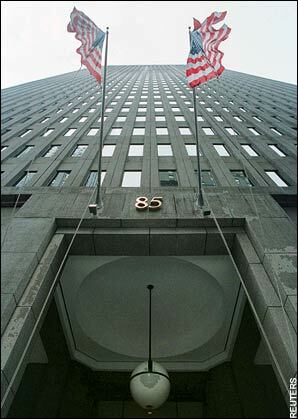 The Goldman Sachs Group was founded in 1869 and is headquartered in New York, New York. Opinions expressed on this board are just that. Opinions. We are not a licensed brokers. Trading strategies discussed on this board are often high risk and not suitable everyone. If you are losing money in the market, you may wish to seek the advice of a licensed securities professional. - Join the email list today!